The brewery is hosting it's first ever 80s Prom Night on Saturday, May 18th, at the taproom - benefitting Gift of Adoption. 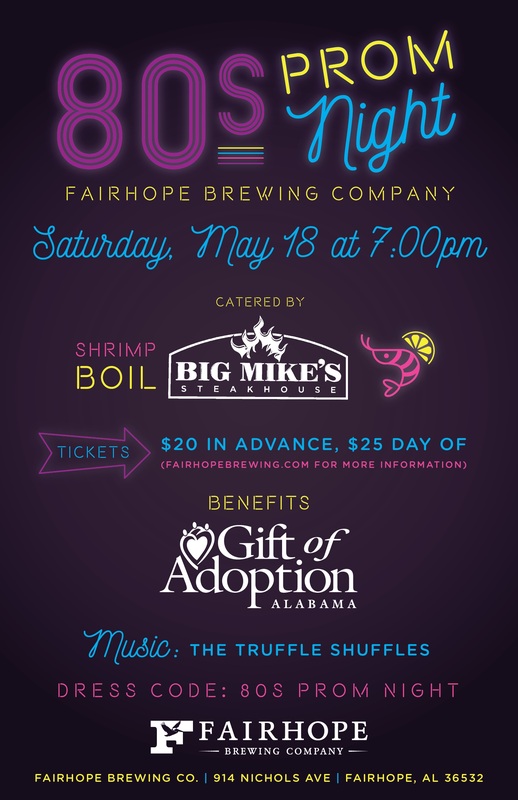 All the fun starts at 7:00 with a shrimp boil provided by Big Mike's Steakhouse and live 80s/90s music by The Truffle Shuffles. And make sure you dress the part! So join us for some great beer, great food, dancing, a photo booth, and all for a great cause while wearing you 80s Prom Night best outfit.